At Gympie Web Sites, we know from experience that setting up your first website can be a minefield of problems in trying to put together all of the necessary items required while you continue to run your business at the same time. To make life easier, we have developed an affordable package that includes everything for your new website. Note – package websites use standard page layouts to provide good quality websites that comply with CSS and Internet Standards. Layouts can be customised with your logo, colours and photos to suit your business. Starter packages can also be customised to include custom graphics and layouts, photo galleries etc at an additional cost. Your First Website with Content Management. Content Management Systems or CMS for short provide an easy way for site owners to make their own changes and updates for the pages in the website. Using a CMS, you can have your website professionally designed and then take over the process of updating the content whenever you need to update pricing, specials pages or other text and pictures. At Gympie Web Sites, we customise the very popular WordPress system to provide our content management system. Using WordPress means we are using a very modern and widely supported CMS platform that offers clients the latest in technology for their website management. Worpdress is widely adopted and can easily be moved to other hosts and developers if necessary without the drama of finding specialised developers and hosting companies required for some other CMS systems. Site Owners can login to WordPress and select the page to be updated and use an online editor with functions similar to Microsoft Word to make required changes. These changes are stored in the site database and these database elements are displayed dynamically when the web page is viewed. A very simple process that we can support with video training for new users. 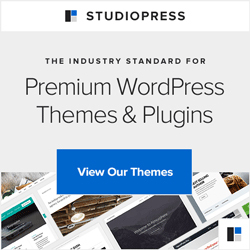 Note: As Worpdress is highly customisable and many developers offer premium theme designs and plugins, this package can be upgraded to include additional functionality and Premium WordPress Themes if required. Refer to our Custom Development page for more information.